If a person does not need to file, there’s no need to send the IRS any letter indicating such. They can simply not file, and if the IRS later contacts them about the lack of a return, they can reply with a letter indicating the reason (i.e., gross income below applicable threshold and did not meet any of the other “must file” reasons). And, if the person wanted to do so, they could include in that letter a statement indicating that, barring unforeseen circumstances, they will continue to be below the applicable threshold going forward. I would be cautious about getting into a “not filing” habit though. Circumstances can change in the future. And that applies not just to personal circumstances but also tax law-related circumstances. That is, the rules may change in the future — potentially lowering the “must file” threshold*, potentially adding a new type of tax that the person would have to pay even with a low income, or potentially adding a new refundable credit which the person could claim if they filed. In other words, I would make a point of conscientiously checking every year whether there are any circumstances that would either require filing or make filing beneficial. 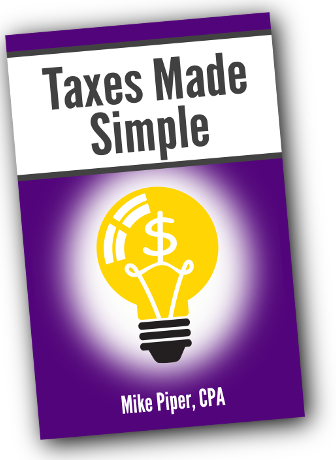 As a separate point, even when filing isn’t required, tax returns (even if simply prepared and not actually filed) can often serve as a useful overall record of the person’s finances. A lack of records has a tendency to make things harder at various times down the road — whether for the person in question, heirs, or executors. *In fact, as the law is written right now, the “must file” threshold will go down significantly in 2026 once the temporary increase in the standard deduction expires. 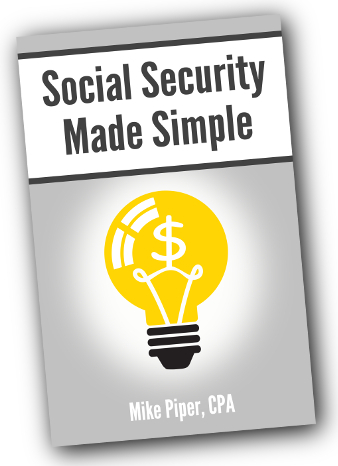 The benefit estimate on your Social Security statement assumes that you retire and file for retirement benefits on the same date — and the SSA’s online calculators make the same assumption. So how can you calculate a benefit estimate if you plan to retire prior to (or after) filing for benefits? Short answer: by using either of two calculators from the SSA and a very slight bit of arithmetic. “I have a question regarding Form 8962 (Premium Tax Credit). I am a dependent, received Advance Premium Tax Credit, and have to file 8962 since nobody will actually be claiming me as a dependent. Last year it was simple because publication 974 provided clear instructions for my situation. There was a section that provided instructions for people claiming no personal exemptions, as would be the case for somebody who is a dependent. If you are claimed as somebody’s dependent, then you are not eligible for the premium tax credit, and you do not file Form 8962. Rather, it is the person who claims you as a dependent who would file Form 8962 for the purpose of calculating any premium tax credit and, if necessary, repaying any excess advance premium tax credit. If you are confident that nobody is claiming you as a dependent for the year, but you could be claimed as somebody’s dependent for the year, then you would fill out Form 8962 to indicate that you were not eligible for the premium tax credit (because you can be claimed as somebody’s dependent). That is, you would enter zero as your family size (assuming you are not married). And the household income (i.e., MAGI of the people in the household) is zero, because the family size in question is zero. And because the premium tax credit is not allowed to anybody who could be claimed as a dependent, the premium tax credit (line 24) is zero. And then lines 27, and 29 would ultimately reflect the fact that any advance premium tax credit is excess advance premium tax credit. Now, those are the rules, and that is how I would personally fill out the return in such a situation. But I’m sure I will receive several emails pointing out the following if I do not mention it: some people would encourage you to not check the “I can be claimed as somebody’s dependent” box if nobody else is actually claiming you as a dependent — because if nobody claims you as a dependent, it would be hard for the IRS to be aware of the fact that somebody could claim you as a dependent. And if you are not somebody else’s dependent, then you could be eligible for the premium tax credit. But again, the Code sections in question (36B, 151, 152) are very clear on this point: if you could be claimed as a dependent, you are not eligible for the premium tax credit. And I would suggest filing accordingly. Firstly, the new deduction does not have any effect on how much you can contribute to a solo 401(k) — or to a SEP or SIMPLE. Contributions to such accounts do, however, affect the amount of your qualified business income (QBI) deduction. That is, the deduction you get from pre-tax contributions to such accounts reduces your qualified business income, which reduce your deduction for such income. Why Do Pre-tax Contributions Reduce Qualified Business Income? Given that deductions for a self-employed person’s own contributions to a SEP IRA, SIMPLE IRA, or solo 401(k) do not appear on Schedule C (i.e., they do not reduce self-employment income) it surprises many people that such contributions are considered to reduce qualified business income. Nonetheless, they do. Essentially, your marginal tax rate for qualified business income is lower than it would be without the deduction (because each additional dollar of income causes you to get $0.20 of deduction, subject to phaseouts). In other words, pre-tax SEP/SIMPLE/solo 401(k) contributions aren’t as valuable as they would be without accounting for the QBI deduction. As a result, Roth contributions would now make sense in some cases where tax-deferred contributions would have made sense before. Also, if your household is doing some tax-deferred contributions and some Roth contributions, it will be advantageous to make sure that, to the extent possible, your tax-deferred contributions are to accounts that will not reduce your qualified business income. For example if you are self-employed and your spouse has a “regular” job as an employee, it would be preferable for your spouse to make tax-deferred 401(k) contributions while you make Roth solo 401(k) contributions rather than vice versa or doing 50/50 each. Example: You’re in the 22% tax bracket. A $10,000 pre-tax contribution to your spouse’s 401(k) saves you $2,200 (ignoring state/local income taxes for simplicity’s sake). Conversely, a $10,000 pre-tax contribution to your solo 401(k) only saves you $1,760. That is, at first glance it saves you $2,200, but it also reduces your QBI by $10,000 and therefore reduces the size of your QBI deduction by $2,000 (i.e., 20% of $10,000), which causes an additional $440 of income tax (i.e., 22% of $2,000). 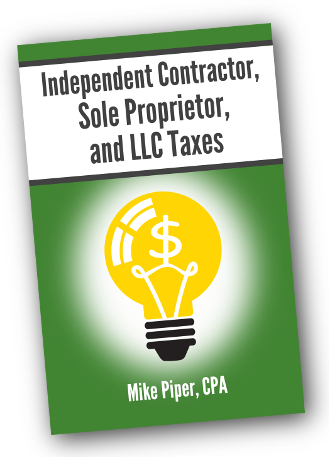 If your business is a specified service business and your taxable income is in the phaseout range, the key message is the same: your marginal tax rate for your qualified business income will be something other than simply your tax bracket. So it will be important to actually do the math before making any related decisions. I know that many readers are currently in the process of planning a next career (in many cases, as part of a phased retirement process). There’s no shortage of advice on career selection, but this week I encountered a brief article that actually has some evidence-based advice on the matter. Relatedly, if you are currently trying to improve the satisfaction/fulfillment you derive from your existing line of work, you may enjoy Cal Newport’s book Deep Work.